Tri-Village Lady Patriots varsity basketball coach Brad Gray. NEW MADISON – The Lady Patriots basketball program under the guidance of Tri-Village athletic director and head varsity girls basketball coach Brad Gray will be holding its inaugural Tri-Village Fundamental Factor, a program that will teach fundamentals to kids in the surrounding communities. Coach Gray as with most schools, conducts a summer camp for local boys and girls. Gray plans to make this an annual event each spring and fall while taking the winters off during basketball season. Coach Gray stressed the sessions are open to all kids – not just Tri-Village students. Coach Gray took time to explain how payment for the program works. Cards may be purchased at any time during the year. With pre-registration that runs through Wednesday, April 3, attendees will receive a basketball and a t-shirt. 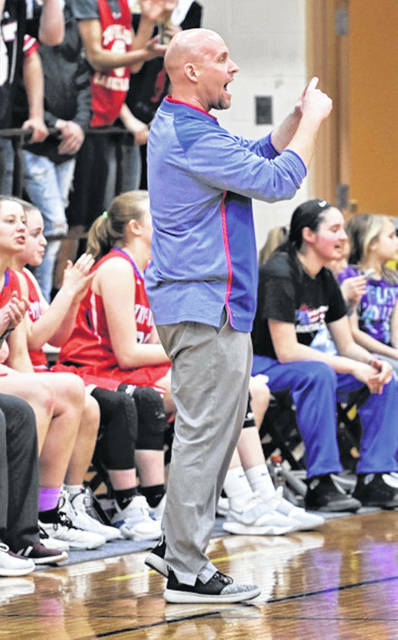 https://www.dailyadvocate.com/wp-content/uploads/sites/34/2019/04/web1_brad-gray.jpgTri-Village Lady Patriots varsity basketball coach Brad Gray.